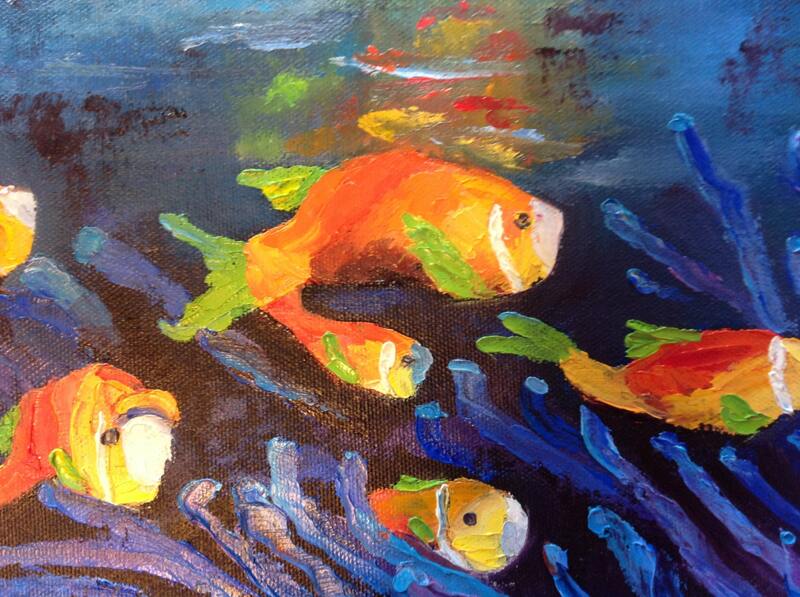 THE CLOWN FISH is an original 8" x 16" oil painted canvas panel. 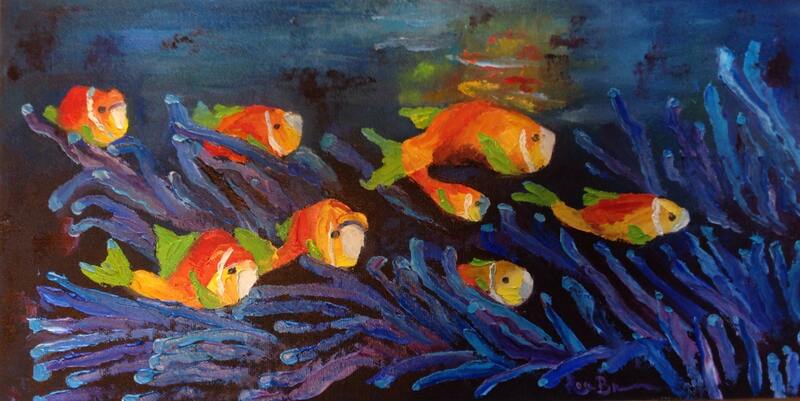 This is a bright, wonderful painting of a school of clown fish swimming thru the coral. 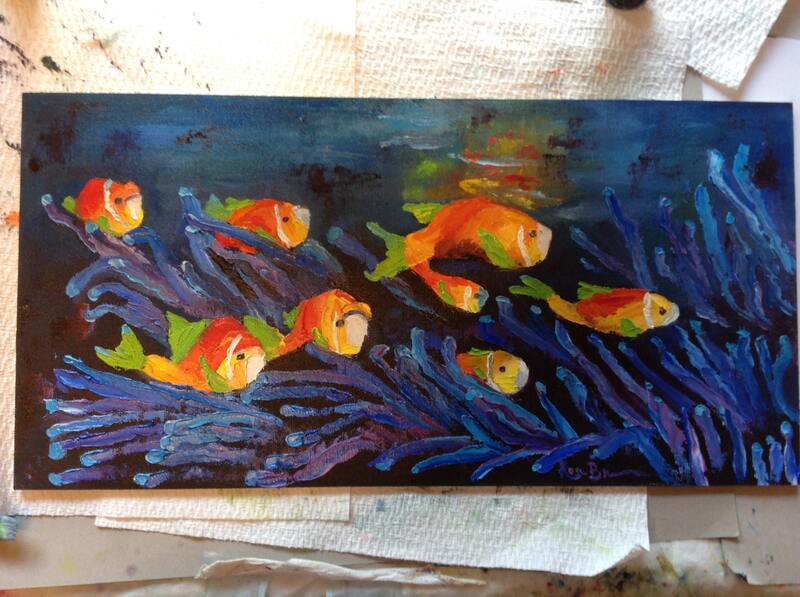 The photo used to paint this painting was of the Australian coral reefs. The coral is flowing over the school of fish and the colors are bright blues and purples. The fish are bright oranges, with green tails and fins. There are white stripes on the fish body. This painting was done on a high quality canvas panels. It is archival, which means the colors will stay strong and vibrant. The depth of the canvas is 1/4". Due to the dark undersea colors, it was hard to photograph. But, rest assured, the colors are very bright.